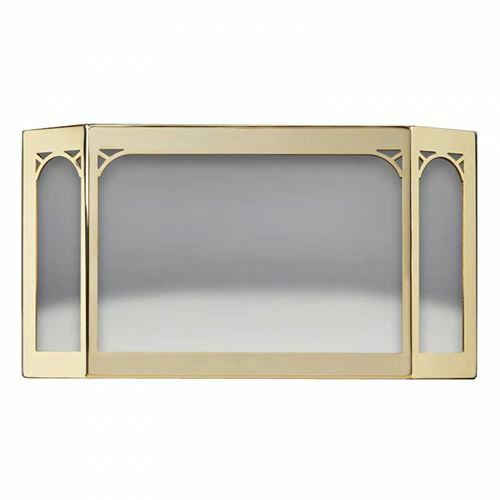 This Napoleon 24 Karat Gold Plated door has an impressive exterior appearance, starting with the color. In addition to that initial impression, you can count on a window design that is unique and attractive. This three element window design and additional touches on the fireplace opening help provide a lasting memory that is more than worthy of becoming part of your hearth experience. In your moments of relaxation and warmth, you can enjoy an equal visual.